News of fresh dining precincts is met with much jubilation here at TUL headquarters, but when we heard about Station Road Dining at Indooroopilly Shopping Centre you'd have thought someone told us George Clooney's marriage was a sham, such were the excitement levels! Once we'd calmed ourselves, we got down to the serious business: planning our food-fuelled itin' of the best restaurants at this Westside dining destination. And there are some doozies to choose from. We know you share our love of Brisbane's finest dining destinations, so we have taken one for the team and picked our faves from this food precinct. Our favourite Hamptons-inspired restaurant—and relative newcomer to the Brisbane scene—Nantucket Kitchen & Bar serve up fresh and absolutely moreish dishes, in a laid back Cape Cod style. Perfect for friends and families to catch up over 'long' brunches (AKA, plenty of wine) and the like, Nantucket is a favourite among the TUL crew. The crab cakes with fennel slaw is a boss dish, and we'd happily chow down on it any old time. The team behind Gerard's Bistro, Gerard's Bar, and northside stalwart Hatch & Co are at it again with The Mero Kitchen & Bar. Channelling the relaxed charm of an Italian trattoria, The Mero has hearty share plates and wood-fired pizzas that would impress even the most discerning Italian. Jovial and lively, it's a restaurant where a generous side serving of good times is unavoidable. Irasshaimase Harajuku Gyoza!! Brisbane's favourite izakaya is bringing Tokyo's street-food to the Indooroopilly crowd, holding a much-deserved space in the Station Road Dining precinct. The massively fun, party-party vibe (just order the sake to see what we mean) is the best way to start a weekend, or even a casual lunch with your mates. Not to be rude, but our love of gyoza is so deep that if you are not a fan of these little pillows of delight—steamed or grilled fresh everyday—then we can't be friends. The Latino's really have this lifestyle thing down pat, don't they? Sangria, tapas, and siestas sound like a pretty good way to spend the day, and Olé South Bank's little sister, Olé Fuego, nails the laidback vibe with a dash of Spanish fun. There's not much left to do except chant Viva Espana, and chow down on a mountain of tapas. Sometimes a classic pub meal is the only thing to hit the spot, and Pig 'N' Whistle Indooroopilly has the market cornered when it comes to classic English pub. With an exciting reno' underway, and a new seafood and champagne bar on the horizon, it's about to become a whole lot better. 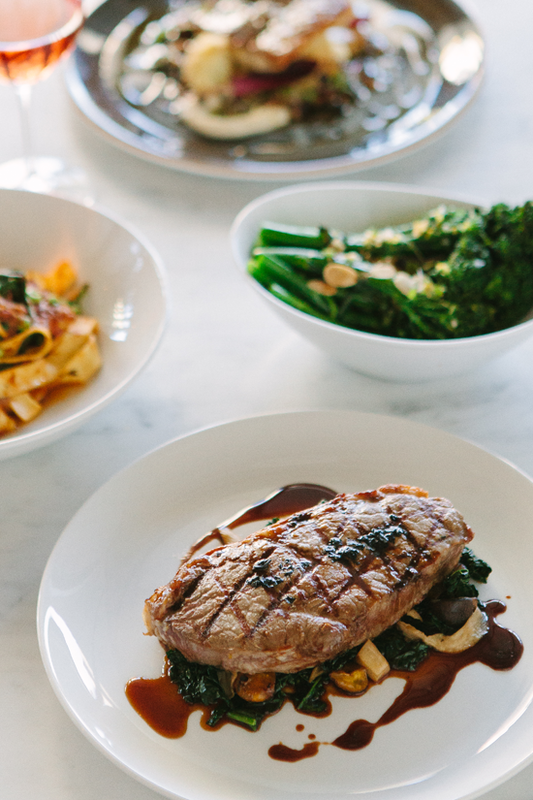 Click here for a full list of the hot Brisbane restaurants at Station Road Dining.